"The Smiths fans from across the globe will have the opportunity to experience once again how this iconic band made their mark in Manchester and the world. Iconic places that will be visited on the tour include; Strangeways prison, which became instantly recognisable by Smiths fans around the world after the album entitled 'Strangeways Here We Come'. 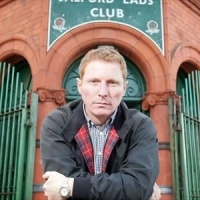 Salford Lads Club - synonymous with the band because of Stephen Wright's iconic picture on the sleeve of The Queen is Dead LP. You will be given a guided tour of the club and gain access to The Smiths room which has been kept as a shrine to the band. Free tea & coffee on scheduled tours, and at each location you will be able to take the important photographs that every The Smiths fan wants to capture or recreate."